Earlier this week I had the honor of spending four days in Port-au-Prince Haiti with David and Patrick Nelson, founders of i’mME Ministries. David is the wide reciever for the NY Jets, and he, along with his brother Patrick, is extremely active in bringing hope and help to the people of Haiti. While I was well aware that Haiti was a nation of many problems, I was unprepared for what we experienced in our time together. This was not my first trip to a third-world nation; however it was my most eye opening. Amidst the brokenness, poverty, hunger and extreme living conditions the experiences continued to renew my trust that God is good, to all people, at all times. On one particular evening, David and Patrick opened the gates surrounding their home and welcomed the youth in the neighborhood onto their property. We fed them before we all circled around a crackling fire to sing to and praise God together. As we sat at the fire, surrounded by poverty and despair, I watched as hope and joy swept over the children as we worshipped God together. In that moment they were not in an earthly kingdom, they were in God’s Kingdom. We could offer no long term solution to these kids. There is no immediate answer as to how to reverse the direction of the nation. We can, however, bring hope and peace as we work together to care for their immediate needs. That is the beauty of what we celebrate this Easter weekend. God’s promise of salvation is for everyone. It is for the rich and the poor. It is for the educated and the uneducated. It is for the haves and the have-nots. But this Easter I am reminded that we do have a promise that holds true. A promise that this world is not our home. A promise of eternal life because of his sacrifice. We may not be able to fix the temporal. But we can provide hope of the eternal. We can live like the Nelson brothers, sharing the hope we have in Christ while helping meet the immediate needs of those in the middle of broken and desperate situations. 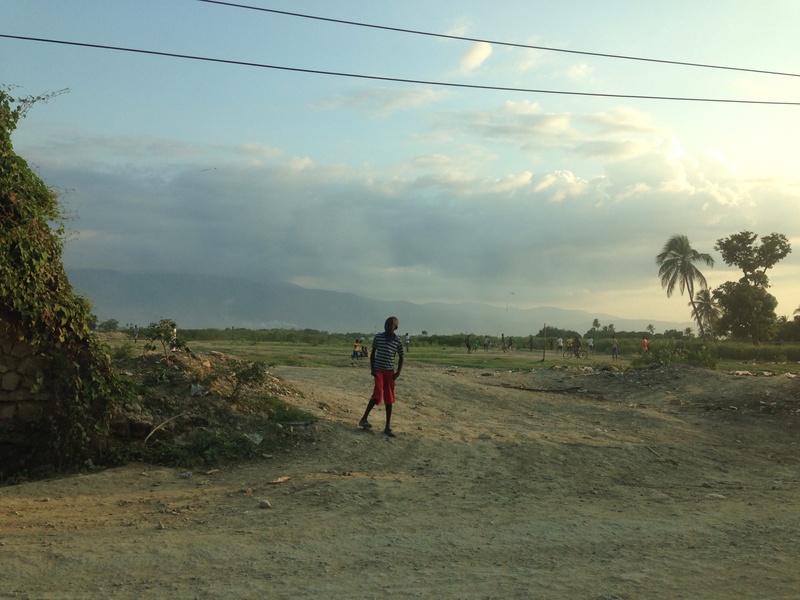 The death and resurrection was as much for the Haitians as it was for Americans. It was for you as much as it was for me.